UPS Freight is the fourth largest less than truckload (LTL) carrier with approximately $2.4B in sales (estimated 2012). UPS Freight has 6.9% of the less than truckload (LTL) market. UPS Freight is based in Richmond, Virginia. UPS Freight is a business segment of United Parcel Service, Inc. UPS, Inc. had $54.1B in sales in 2012. UPS Inc. operates in three segments: U.S. Domestic Package, International Package, and Supply Chain and Freight. UPS is well known for it’s small package delivery business. Now, UPS has aggressively grown into freight and other transportation solutions through a series of strategic acquisitions. 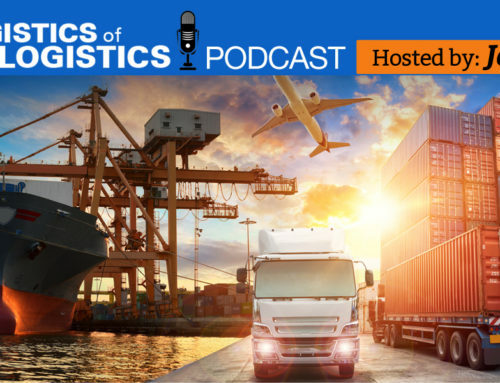 The latest addition to this portfolio includes LTL and truckload freight services, which complements UPS’s global capabilities to provide customers a single source for multiple modes of transportation. UPS Freight provides a variety of LTL freight solutions including: standard, regional, inter-regional and long-haul service. UPS also has guaranteed day-definite delivery and expedited services. UPS was founded in 1907 by James Casey. The company was based in Seattle, Washington and was originally called American Messenger Company. Over the last hundred years, UPS has grown organically and through acquisition. In 1975, UPS moved its headquarters to Greenwich, Connecticut. In 1991, UPS moved it’s corporate headquarters from Greenwich, Connecticut to suburban Atlanta, Georgia. In 1992, UPS acquired both Haulfast and Carryfast and rebranded to UPS Supply Chain Solutions. Haulfast provided the pallet haulage and trucking network for the CarryFast group of companies. On November 10, 1999, UPS became a public company. In 2001, UPS acquired Mail Boxes Etc., Inc. The Mail Boxes Etc., were rebranded to the UPS Store brand in 2003. In 2004, UPS entered the heavy freight business with the purchase of Menlo Worldwide Forwarding, a former subsidiary of Menlo Worldwide. The new segment was rebranded as UPS Supply Chain Solutions. In 2005, UPS acquired the less-than-truckload (LTL) trucking company Overnite Transportation. The Overnite subsidiary was renamed as UPS Freight in 2006. UPS Freight has 5,948 tractors; 20,783 trailers and 197 service centers. UPS Inc. has 397,100 employees worldwide, but the specific number who work at UPS Freight is not available. UPS Freight’s service area includes all of the United States including Alaska, Hawaii, Puerto Rico, U.S. Virgin Islands and Guam. UPS Freight also delivers to all of Canada and every major city in Mexico (over 600 points).